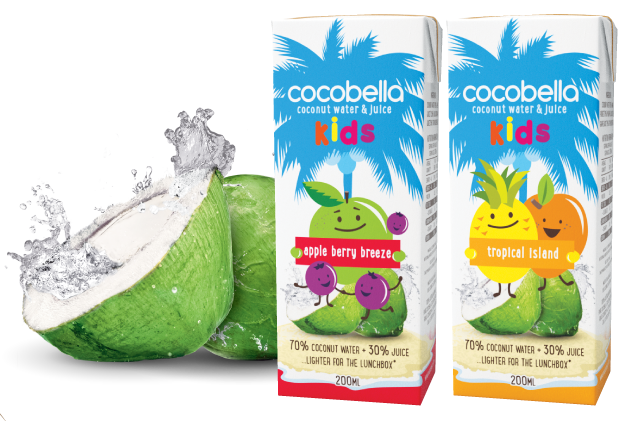 COCOBELLA KIDS NATURALLY CONTAINS AROUND 50% LESS SUGAR THAN LEADING KIDS FRUIT JUICES. 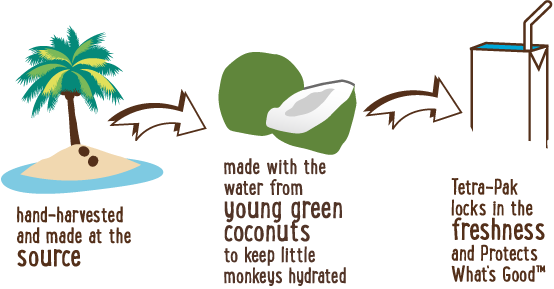 COCONUT WATER (70%), APPLE JUICE ^(25%), BLACKCURRANT JUICE ^(25%). ^ FROM CONCENTRATE. 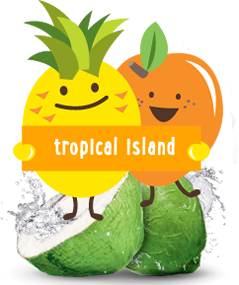 COCONUT WATER (70%), MANGO PUREE ^(11%), PINEAPPLE JUICE ^(10%), GRAPE JUICE ^(9%). ^ FROM CONCENTRATE. 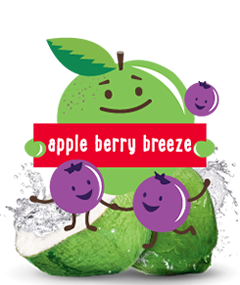 © Copyright 2014 MADE (AUST.) PTY LTD. All rights reserved.